FARGO, N.D. — Fargo-Moorhead pitchers combined for 14 strikeouts as the RedHawks dropped the 2018 season finale 7-1 to the Sioux Falls Canaries in front of 3388 fans at Newman Outdoor Field. Trey McNutt struck out 12 batters over 7.1 innings despite earning the loss this afternoon. Both teams scored a run in the fifth inning, Fargo-Moorhead’s coming on an RBI-double from Derrick Fox, before the Canaries hung four runs on McNutt in the sixth to take a commanding 5-1 lead. 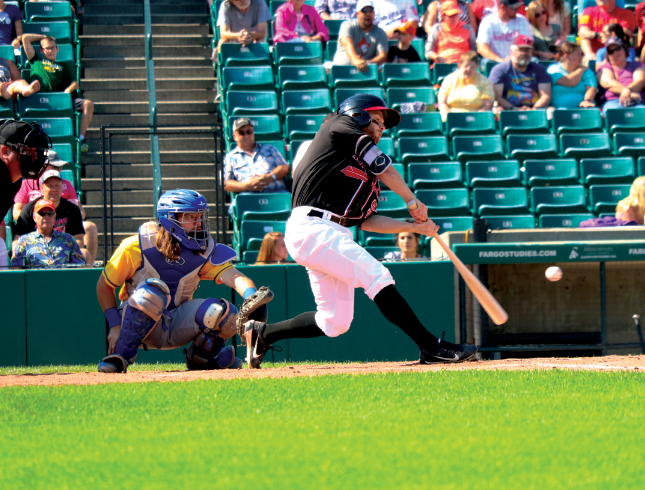 Sioux Falls added two more runs in the ninth inning to finish off the victory and snap a five-game losing streak. Sioux Falls outhit the RedHawks 14-5 and the visitors’ bullpen kept the RedHawks off the scoreboard after starter Mark Seyler left the game with four innings remaining. Fargo-Moorhead finishes the 2018 regular season with a record of 51-49 — good for third place in the American Association’s North Division.